Angie is an active member of the Greek shipping community for the last 23 years. In 1984, Angie attended courses at the University of La Verne. In 1989 she obtained her Diploma in Travel & Tourism from Hosta International Leysin in Switzerland. Between 1989 and 1991, Angie worked in Geneva for TWA. 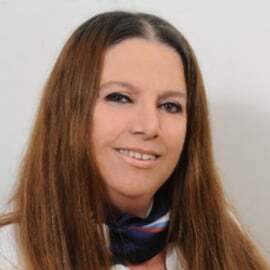 In 1992, Angie returned to Greece and until presently she manages the crew functions of various family owned companies such as Oceanbulk Maritime S.A. and Star Bulk S.A. Also, Angie is an active member of WISTA (Hellas) since 1999 and President of WISTA (Hellas) since April 2014. She is bilingual (English/Greek) and also speaks French. Finally, she has attended numerous maritime conferences either as a participant or speaker.